ABBOTSFORD — Until we meet again? East Vancouver’s No. 1-ranked Sir Charles Tupper Tigers and the No. 2 Vernon Panthers may well have given an advance showing of the B.C. 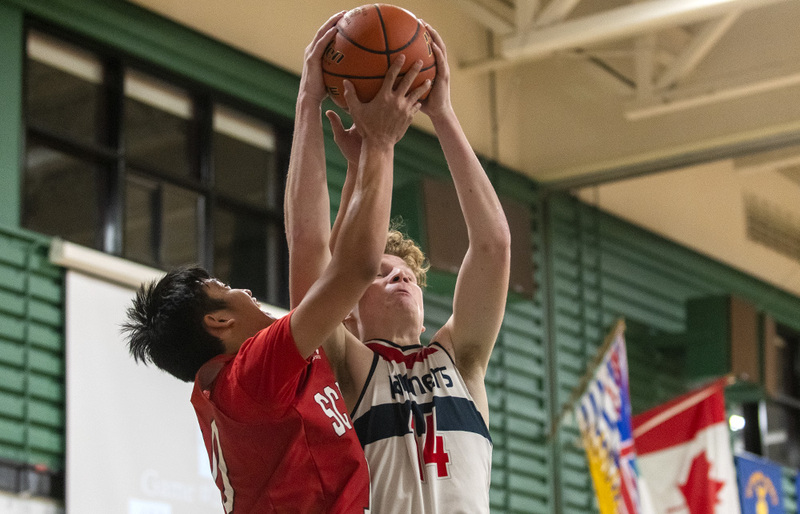 senior boys Triple A basketball championship final deep in the Fraser Valley on Saturday night. Yes, just over a month ahead of a potential ‘for all the marbles’ provincial final clash, the two teams squared off Saturday night in the Timberwolves Classic championship final at Robert Bateman Secondary. 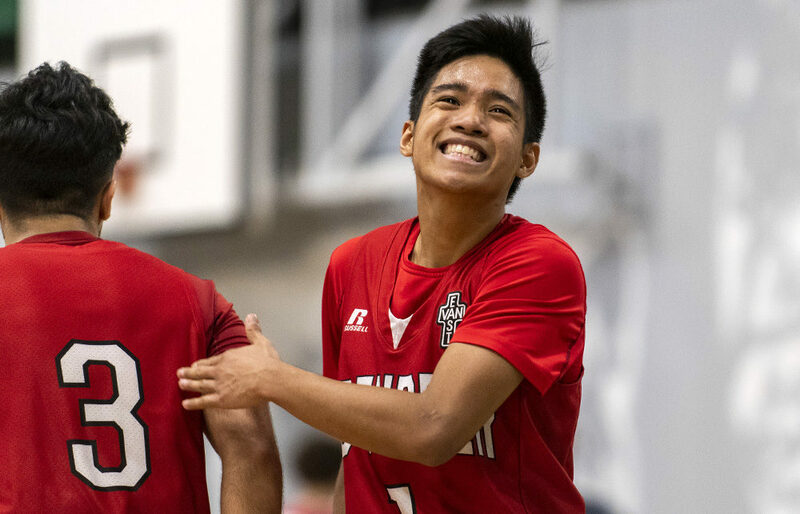 The Tigers were trailing the Panthers 68-66 with about four minutes remaining, but an epic three-pointer by soon-to-be tourney MVP Norben Bulosan keyed a 15-8 run and Sir Charles Tupper never looked back the rest of the way in an 80-77 victory. Yet if Tupper has proven itself week after week against B.C.’s cream of the Quad- and Triple-A crop, the Panthers were looking a little like interlopers when the 16-team Triple-A field opened play Thursday. Yes, they were freshly-minted as the tier’s No. 2 team Wednesday, moving up one position following an upset loss suffered No. 1 North Delta on Tuesday night, yet they had faced so few Top 10 teams this season. In the end, however, they earned everyone’s respect and more, despite the fact they have just one senior on their roster. At one stage in the second quarter, however, the Tigers looked ready to claw the Panthers to ribbons, turning the cat fight into a convincing 28-11 lead, powered by a 12-0 run. The 5-foot-5 Bulosan, inch-for-inch one of the most dynamic small guards since Richmond’s Karlo Villanueva, was named the tournament MVP after scoring a game-high 22 points. Mitchell Morgan added 16 points and Simon Crossfield another 15 for the winners, while Matt Dunkerley and Joven Dhillon scored eight each. Shy of a tourney title, Vernon could not have asked for a more positive rise up the curve as they huddle and refine for a trip to the Langley Events Centre over the coming weeks. The lone senior, Thomas Hyett, delivered a team-high 21 points for the Okanagan squad. Isaiah Ondrik poured home 20 points, Kevin Morgan had 11 and Zack Smith scored all 10 of his in the second quarter. “We came down to get good games and this is the only way to get better,” added Reid, whose team topped the tier’s other prime wire-to-wire contender, the No. 3 North Delta Huskies, by a 72-66 score in a Saturday semifinal. 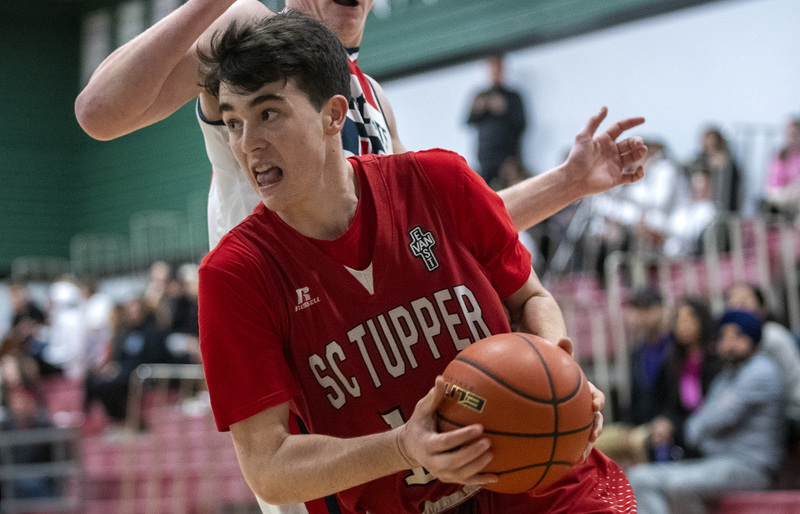 Tupper, also playing its best basketball of the season at this precise moment, is carrying itself with a confidence that bodes well for the stretch drive of the season. It toppled No. 10 Byrne Creek 93-50 in its Saturday semifinal.